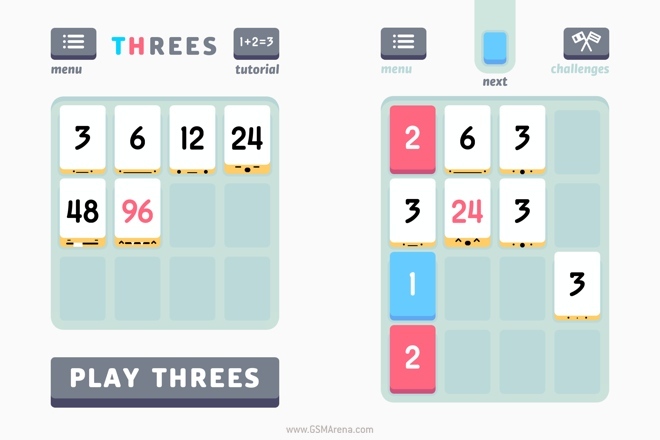 Threes is a game of numbers. You have numbers on the board and you have to add them to earn points. 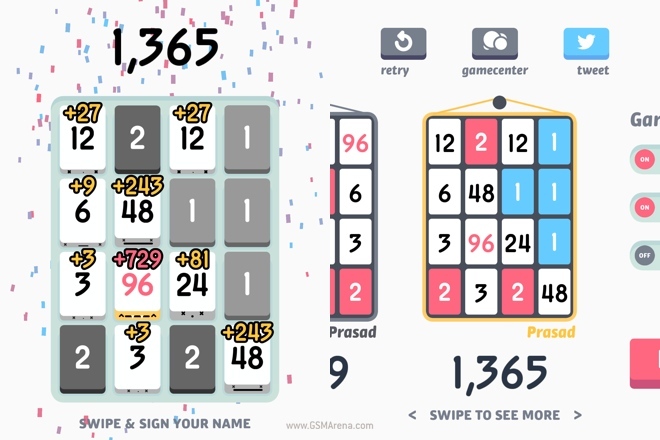 To add numbers, you simply swipe on the screen in a particular direction and all the numbers on the board will move in that direction and when possible get added to the numbers next to them. When you move, new numbers are also added to the board. If the board fills up and you can’t make any more additions, the game is over. You can’t just add any number to another; there are certain rules to follow. 1 can only be added to 2 and vice-versa and to no other number. Numbers above 6 can only be added to themselves. The game makes your life a lot easier by giving only a handful of numbers, including 1, 2 and 3. This way you only end up with a select few numbers on the board, including 1, 2, 3, 6, 12, 24, 48 and so forth. Other than 1 and 2, all other numbers actually have a personality. You can see they have a tiny face and voice that differs from each other. As you make additions and unlock bigger numbers, you also unlock that character, which can then be seen on the main screen along with a short description for each. The game is actually not that difficult at all but in order to reach higher scores you do need to be clever. You have to assess the board carefully and try to make as big additions as possible as a bigger number gets you higher number of points for it. When the game is over, your score is calculated based on the value of each number left on the board. 1s and 2s can fill up the board quickly if you’re not careful and slide around willy-nilly so you have to be careful with your moves and keep the numbers to a minimum on the board. But while the gameplay is interesting, it wouldn’t have been half as fun without the visuals and sound that give the game its endearing character. As mentioned before, the numbers are alive and you can see them move their faces as you move them. When a new number is formed it greets the others on the board and when you try to move in a direction where you can’t you can hear the numbers say “Nope” and “Uh-huh” one after the other. Each number also has a different voice and style of speaking. You can even see the names of the characters in the game credits. The music in the game is also excellent and although it’s a single, recurring track you never get tired of listening to it. Add the superb sound to the clean and charming visuals of the game and it gets elevated from just another puzzle game to something special. 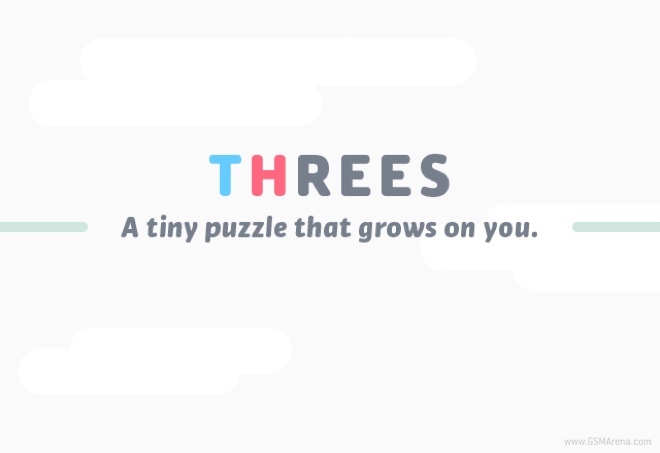 Threes is a fun and addictive puzzle game. The gameplay is entertaining and the adorable audio-visual presentation makes it even better. This one is an easy recommendation. Get it now if you haven’t already.